My Five-Ingredient Mysteries fall into the category of culinary cozies. Books that focus on food and fatalities are more popular now than ever before. Can you guess how many culinary mysteries are in print? 500? 700? 1,000? I recently stumbled on a website devoted to culinary mysteries that answers that question. The website’s creator estimates the number of books in that category as more than 2,000! The site has an exhaustive list of those mysteries. How I wish I’d had that list six years ago, when I decided to write a culinary mystery series. I made my own much shorter list of existing culinary series, not only because I had limited time, but also because many fewer such mysteries existed then. 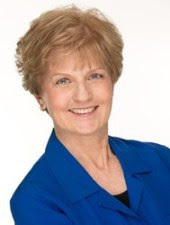 In making my own list, I discovered that most of the characters in these series (and, in some cases, the authors who created them) were culinary professionals—bakers, chefs, caterers, restaurateurs, food growers and sellers. I wasn’t a professional. Like most people, I’m a home cook. I avoid elaborate meals except on special occasions. Instead, I prefer to make simple meals with fresh ingredients, but not too many ingredients. For years I collected recipes for healthy dishes that tasted delicious, but didn’t require a lot of time, effort, or special expertise. I decided to write a series focused on the type of cooking I did myself. That’s how the Five-Ingredient Mysteries were born. Many culinary mysteries revolve around a particular type of food: cakes, cookies, candy, donuts, pizza, barbecue, pickles, cheese—literally, everything from soup to nuts. Each book in my series includes recipes that are figuratively soup to nuts: five-ingredient appetizers, main dishes, and desserts. So you can read a mystery and make a dinner with the same book. My main character, Val, manages a café and moonlights as a dinner-party caterer. She shares a house with her grandfather, who took up cooking in his seventies and scored a job as the local newspaper’s recipe columnist, the Codger Cook. He won’t try any recipes with more than five ingredients. He’s the one who gave my series its name. Both Val and Granddad enjoy sleuthing, and they find no shortage of murderers on Maryland’s Eastern Shore. Val gains insights into people’s values and fears by observing what and how they cook and eat, as well as how they interact with others over food. Key scenes occur at the table, where the values, obsessions, and fears of the murder suspects are on display. A table scene occurs early in S’More Murders, before anyone dies, and is re-created later in the book. The dinner itself is a re-creation of the last meal served on the Titanic. As warm April weather brings boaters to the Chesapeake Bay, Val agrees to cater a dinner party aboard a yacht on the Chesapeake Bay. Its owner, a collector of Titanic memorabilia, asks her to duplicate the final meal served on that doomed ship. On the anniversary of the Titanic’s sinking, the yachtsman welcomes his guests aboard and assigns them roles in a murder mystery game. Val soon reaches the chilling conclusion that the host is fishing for the culprit in a real crime. 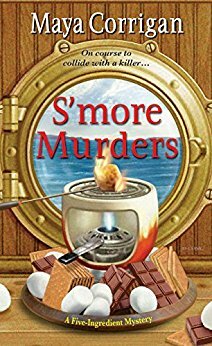 When someone disappears from the boat, Val and Granddad must reel in a killer to avoid s’more murders. At the end of the book, Val is catering on the yacht again, serving a simpler meal to all the suspects. With respect to solving the mystery, it turns into a potluck. Everyone at the table has something to contribute as the truth about multiple murders finally surfaces.